The good news is that the game is in open beta. The bad news is that it's only playable via a Taiwanese client. Attention Dragonball fans: You may now rejoice, as Dragonball Online is now in open beta. However, if you're not fluent in Mandarin, you may be up the proverbial creek without a paddle if you're looking to get in on the action. The game's open beta is available via a Taiwanese client, though the website Dbocom has an English translation patch available for the title's UI. That said, players will still need to know Mandarin in order to read NPC names, quest assignments, and other related information. Dragonball Online is being developed by NetMarble and is based on the manga series. 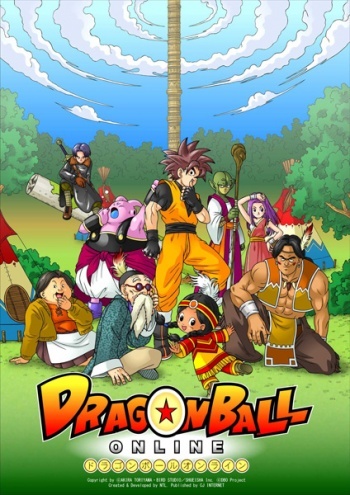 The game is set 216 years after the end of the manga, when players are tasked with repairing "cracks in time" as they play through an adventure that's being plotted out by Akira Toriyama, the original Dragonball artist. At the moment, no plans have been revealed for expanding the beta to North America or other Western markets. In the meantime, you can read up on the game via Wikipedia.